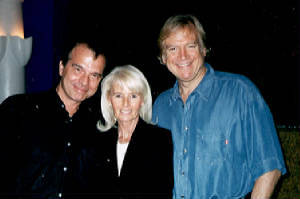 And I'm proud of the things we believed in then......"
Justin Hayward, born in Swindon, Wiltshire, England on the 14th of October, 1946, is referred to by many as "the voice of the Moody Blues". His soaring, emotion-filled voice marks many a greatest hit, including that ultimate classic "Nights in White Satin", and the more upbeat material such as "The Story In Your Eyes", "Question", and "The Voice", and such slower, more subdued and philosophical songs as "New Horizons" and "Watching and Waiting". Justin has been involved in music-making since the age of 12, when he began playing in several bands in the Swindon area. After his fifth music group, "All Things Bright", disbanded in 1964, he left Swindon with Marty Wilde as one of his "Wilde Three". Within one year of joining the Wilde Three, Justin departed to begin a promising solo career. Clint Warwick. 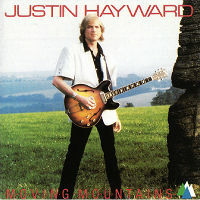 Mike, Ray, and Graeme took in Justin immediately, along with John Lodge, a bass guitarist who had played with Mike and Ray as a member of El Riot and the Rebels". After several months of playing the old R & B tunes such as the Laine-era classic "Go Now", the Moodies finally received a record contract from Decca, a division of London records' to record on the newly formed Deram label. 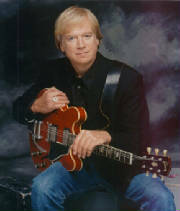 The Moodies recorded Days of Future Passed, to which Hayward provided the two biggest hits, "Forever Afternoon (otherwise known as "Tuesday Afternoon"), and "Nights in White Satin" The album was an instant hit, going to position #3 on the charts. There is a rather odd little story that revolves around the recording of Days of Future Past and a little later on, on this website, we'll relate it in the form of a web page, so be prepared. The Moodies recorded 6 more albums before breaking up in 1974, Hayward providing most of the popular songs on each album. Finally, the band decided to call it quits for a while, and each member went his own separate way. Justin's solo career, not surprisingly, was the most successful of the five. Blue Jays, recorded by Justin and John Lodge in 1975, was undoubtedly the most successful of all of the solo albums, climbing to the fourth position on the charts in England. The next solo album, Songwriter, also did relatively well on the charts. Released in 1977, it marked the beginning of The Moodies transformation from a '60's psychedelic group to an '80's pop and synthesizer-based group. The Moodies reunited in 1978, recording Octave. Justin, remaining true to form, contributed some ofthe most popular tracks from the album, including "Driftwood", "Top Rank Suite", and "The Day We Meet Again". The reunion of the Moodies did not mark the end of Hayward's solo career, however. His next solo venture, Night Flight was released in 1980, at the height of disco fever. 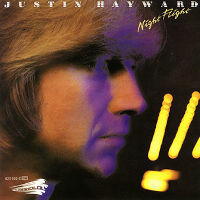 Not surprisingly, Justin kept with the spirit of the times, recording such disco-laced songs as "Night Flight", "Nearer To You", and Hall and Oates' "I'm Sorry". This marked the first Moodies album, solo or otherwise, to feature covers of songs written by other musicians. The next Moodies release, Long Distance Voyager, is considered their "comeback" album. 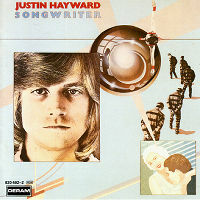 Hayward wrote several of the songs on this album, including "The Voice" and "Gemini Dream" (with John Lodge). 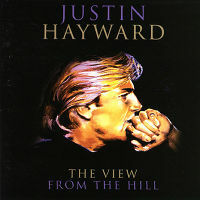 The next album, The Present, did not do as well on the charts, but contained some equally beautiful songs penned by Hayward: "Blue World", "Meet Me Halfway", and "Running Water".The next solo album, Moving Mountains, did not do especially well on the charts, but it does contain some excellent compositions, including "Silverbird" and the title track. Justin's next big hit came on the Moodies' next album, The Other Side of Life. "Your Wildest Dreams" became The Moodies' biggest hit since "Nights In White Satin". It served to introduce a whole new generation to the Moodies, selling millions of copies in the process. The video representation of the song received Billboard's "Video of the Year" award in 1985. Part two of the story, the video for "I Know You're Out There Somewhere" from Sur la Mer also received various awards. 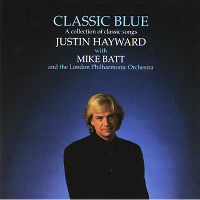 In 1990, during a lull in the band's musical output, Justin undertook a project with Mike Batt to cover various famous rock classics in an orchestra setting. This project led to Classic Blue, Justin's next solo release. This album contains great covers of such classics as "Stairway to Heaven", "MacArthur Park", and Procol Harum's "A Whiter Shade of Pale".1991 saw the release of the band's next album, Keys of the Kingdom. Although it wasn't a major hit for The Moody Blues, it contained "Say It With Love", another great Hayward tune, just one of the many songs the Moodies performed at 1992's A Night At Red Rocks with the Colorado Symphony Orchestra. This album, along with the accompanying video which saw a great deal of airplay on PBS stations across the country, paved the way for the Moodies' Orchestra Tour of 1993 and 1994. This tour was highly successful, putting Justin and the others in the top ten grossing concert acts for several months. 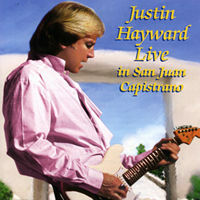 Justin's next musical release was a rather unexpected one, especially for Mr. Hayward himself. A German record company, MMS Records, released an album titled FRO Classic Moody Blues Hits with Justin Hayward and Friends. This album contained several covers of most of the Moodies greatest hits, including "Blue Guitar", a Hayward solo release which was performed with 10cc in 1975. Justin contributed vocals to this project, but, apparently, did not receive any payment upon its release. This creative impasse has since been resolved, we think. 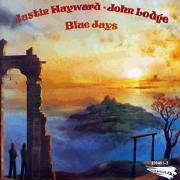 Below, you'll find a brief over-view of Justin Hayward's career, up to the point that he joined The Moody Blues. Releases "I Can't Face the World without You", 1966.